We watched this video today in practice and I thought some of the players might want to share. This is Beau Kittredge, one of the best players in the history of ultimate frisbee, jumping over an opponent. Please note: this is not a regular occurrence in ultimate and speaks more to Beau’s killer athleticism more than anything else. I also showed this picture of a summer league team that I captained when I lived in Boulder, Colorado back in 2002. If you look, you’ll noticed Beau standing on the left side of the image (second from the left). I’m standing in the middle holding up the disc and the number 1 symbol. It was Beau’s first summer in Boulder, no one knew who he was, and I ended up drafted him because he was tall (since I was also new and didn’t know anyone in the draft, I just picked the tallest available choice every round). Of course we won the tournament that year. What this video lacks in image-resolution, it makes up for in sheer-awesomeness! 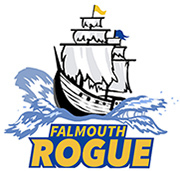 Thanks to coach Rob Rowse of Falmouth Ultimate for sharing this one with us!